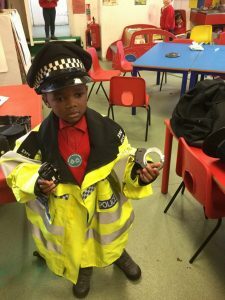 The Nursery children were delighted to welcome a Police Officer as part of our ‘People Who Help Us’ theme. They all had their fingerprints taken and were allowed to try on real Police uniform! 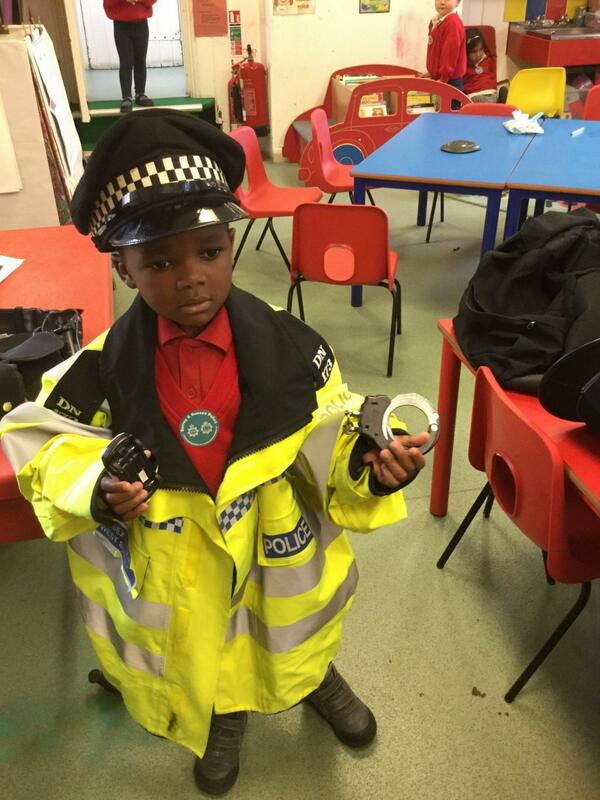 Here is new recruit ‘Police Officer Evan’.